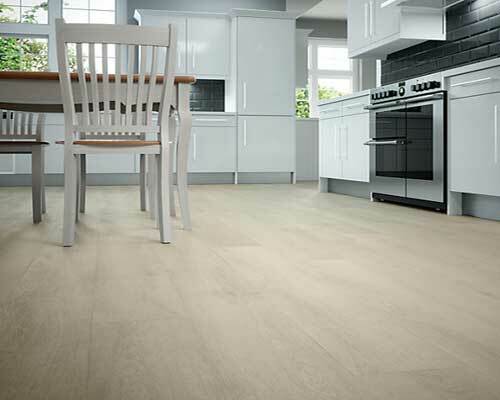 Vinyl is a hard-wearing, long-lasting, waterproof floor that is easy to clean and does not require large amounts of maintenance, making it very useful in kitchens, bathrooms and in commercial premises. However, it is not indestructible and it is important that the correct measures are taken to keep the product in good condition. How a vinyl floor is cleaned is important. Most spillages and stains can clean off quickly, but some will persist, often becoming dried on the surface and then hard to remove when using just soap and water. A variety of products may be used to deal with these, from peroxide to ice cubes, the latter being used to make some substances – like chewing gum or wax – brittle so they can be scraped up easily. A mixture of water and bicarbonate of soda can also be used to deal with yellow stains that can form from the placing of area rugs on such floors. However, it is important to avoid certain materials and substances when cleaning a vinyl floor. Scouring powder and brillo pads should both be avoided as these can cause significant damage to a vinyl floor by scratching it. Another issue about floor cleaning is that it should not be scrubbed for at least five days after it has been laid down, in order to allow proper curing. Most of the time a vinyl floor can be maintained with a cleaner designed to be used on vinyl floors, but there may be times when you need something a little stronger to get the tough stains out. Test the floor in an inconspicuous area before you use a strong chemical on your vinyl floor. An area hidden in a corner or closet will be fine for your test. Test the rags you are using too. Some of the strong chemicals may bleed dye out of the rags. It is always best to use a plain white rag without any dye to clean the stains from the vinyl floor. What Cleaners work on Vinyl Flooring? Bleach is a good cleaner for tough stains such as: tomato juice, fruit juices and wine. Dilute the bleach with water in a ratio of one part bleach to four parts water. To remove the stain, soak the white rag with the bleach mixture and lay it over the stain. It may have to remain on the stand for at least an hour to completely remove it. 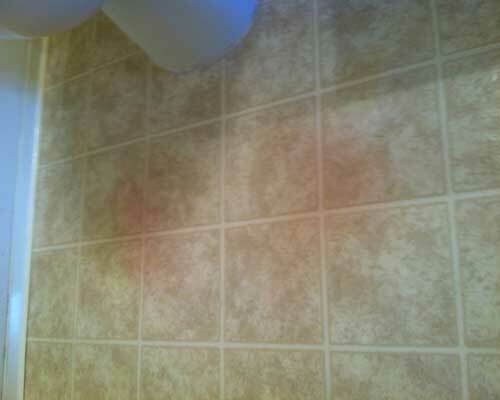 Alcohol is another solvent that can be used on the tough stains on your vinyl floor. Isopropyl alcohol can be found in the drug store along with lighter fluid, which will remove scuff marks and tough stains. When handling these materials, use caution. Alcohol and lighter fluid are flammable materials and could pose a risk if the rags are not disposed of properly.